Reset Your Routine | iiaa Ltd | The UK and Ireland distributor of Environ Skincare, jane iredale makeup and Advanced Nutrition Programme. Our Feed, Fortify, Finish™ philosophy was put to the Press on 25th May. 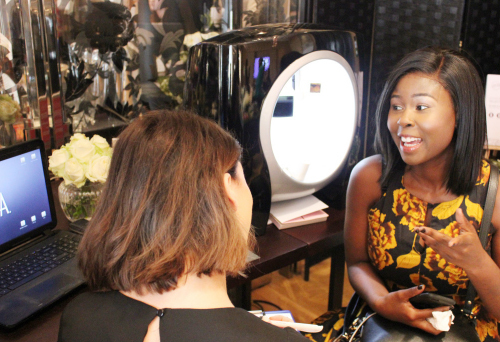 Over 56 of the leading Consumer and Trade publications including Cosmopolitan, Grazia, Porter, Harpers Bazaar, Raconteur, TV3 Expose and Professional Beauty were invited to The Rosewood Hotel in Holborn for a 360 degree all immersive skin experience. boosted firm skin envy with the new Body Sculpt treatment and glamoured up their ambitions with skin perfecting make-up courtesy of our jane iredale Global Educator Natalie Soto-Carlisle. There was an overwhelming response on social media, with over 1,305 influencer mentions alone across all brands, and social amplification via use of #100dayreset #iiaa #feedfortifyfinish.